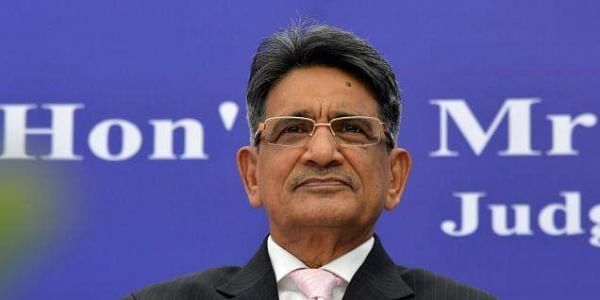 The Supreme Court, which on Thursday adopted the new BCCI constitution, has made three significant changes to the original Lodha panel recommendations. NEW DELHI: Former Chief Justice of India, RM Lodha is a disappointed man today. He is also surprised and trying to figure out which legal principle the Supreme Court adopted in changing the July 18, 2016 order that had adopted the Lodha panel recommendations in toto to reform BCCI’s functioning. He went on to say that maybe the detailed order would throw some light on what grounds the original order was changed and what legal principle was applied in the “process of executing and implementing the final order of July 18”. The Supreme Court had appointed the Committee of Ad­m­inistrators (CoA) only to ove­rsee the implementation of the order and not make changes in it. In short, what Justice Lodha is saying is that the three-member Supreme Court bench headed by Chief Justice Dipak Misra may have violated legal principles in making changes to the original order passed by Justice TS Thakur almost two years ago. The Supreme Court, which on Thursday adopted the new BCCI constitution, has made three significant changes to the original recommendations. They have restored voting rights of all board units, doing away with the one-state-one-vote principle, extended the tenure period to two consecutive terms before the cooling off period sets in and gave back voting rights to the Railways, Services and the Universities. Justice Lodha explained why his three-member panel had suggested these changes. “We had not taken away any cricketing rights from any board unit as well as the three government bodies. The reason we had taken away voting rights of the three was to ensure that the government does not play any role in the elections to the board. Their votes in elections can be crucial and we did not want the government to have any role in an autonomous sports body." Similarly, they also did not want one state with multiple votes to influence the election. “Isn’t it unfair for a large state like UP to have just one vote and states like Gujarat and Maharashtra to have three each?” he asked. Though very disappointed with these dilutions, he still feels that overall, most of the structural changes he had recommended stay and will have a positive impact on BCCI’s functioning.